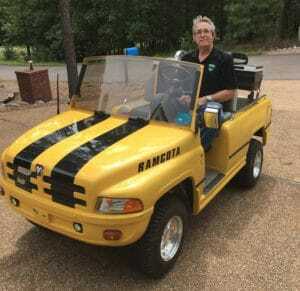 Yamaha’s premiere cart in 1979 was the G1A Model J10 Gas powered vehicle that featured an Autolube Oil Injection System to supply oil to the engine in precise oil-to-gas ratios. This eliminated the premixing of the oil and gas and improved combustion, oil consumption, and carbon buildup. 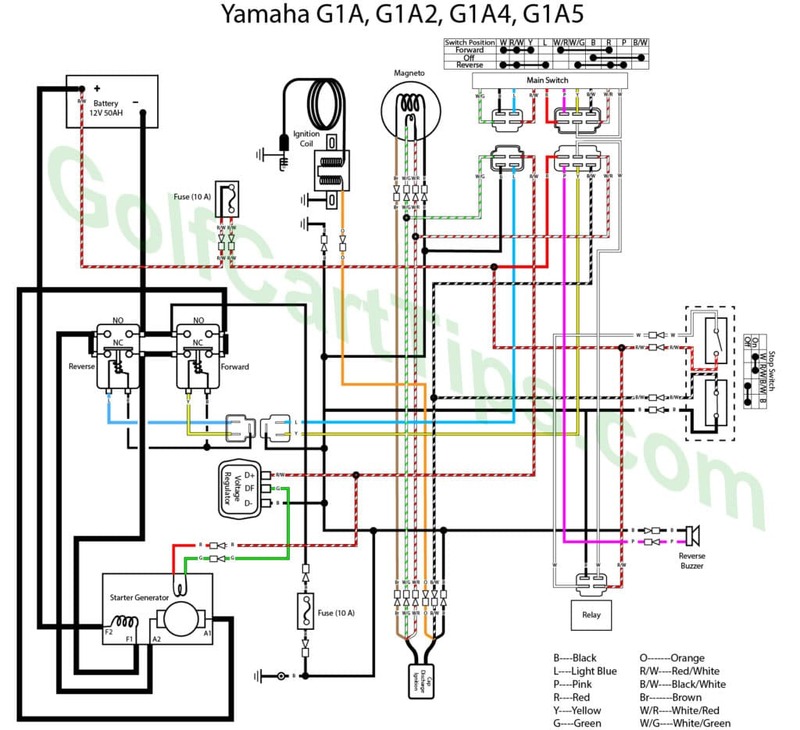 In 1980, Yamaha introduced the G1E 36 volt Electric J14 series. 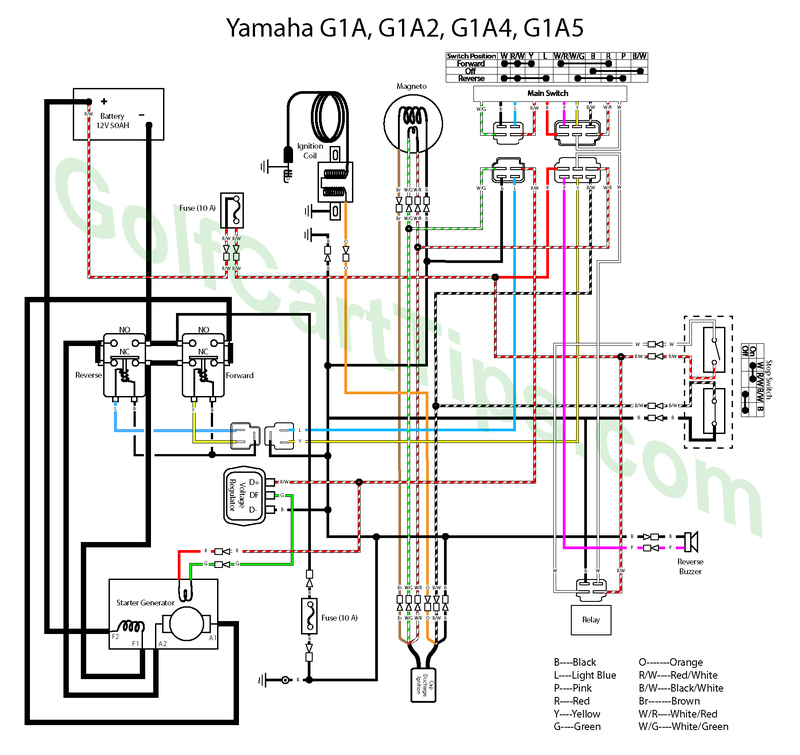 The following diagrams are for ease of tracing out circuits and pinpointing points of failure in the Yamaha G1A and G1 E.
The first Generation Gas Carts also used the solenoid mentioned above in the electric cart, but the replacement is a 12-volt model. 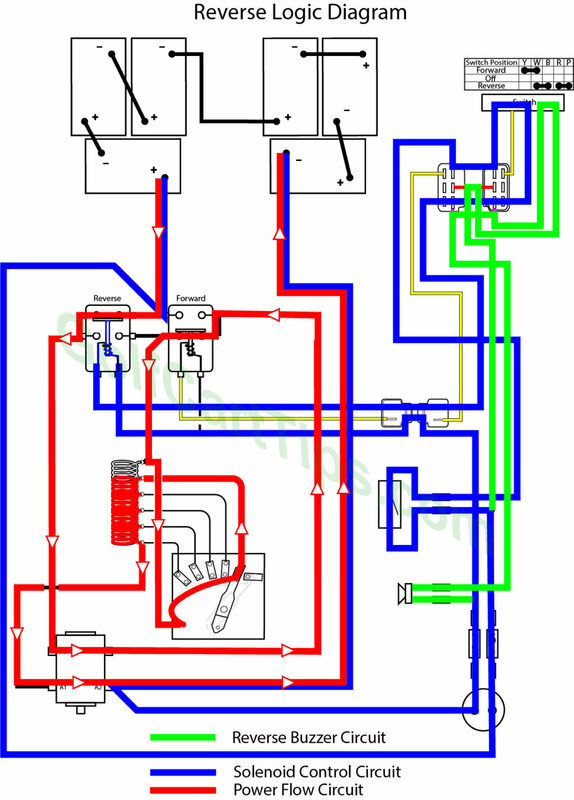 Retrofit for this solenoid is shown in the illustration below. 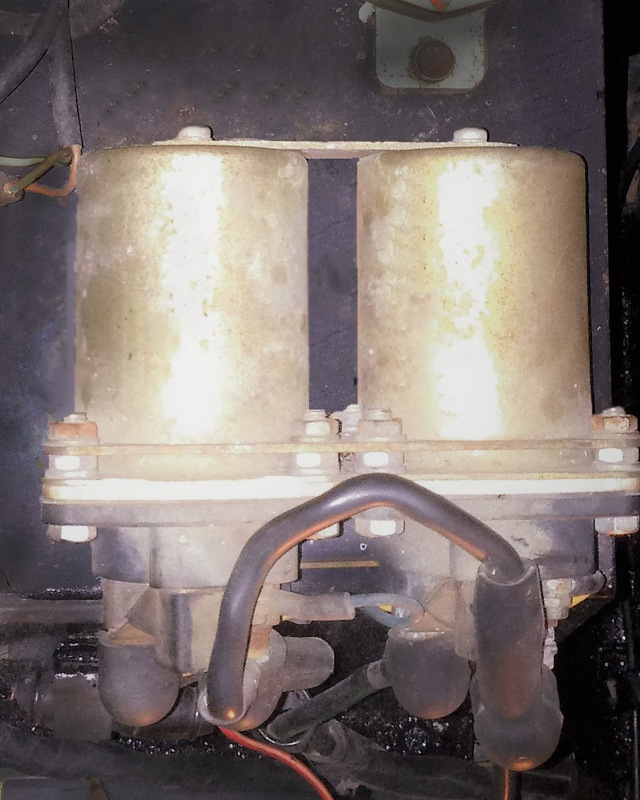 The first generation electric cart had solenoids (or relays) that had all terminals on one end of the unit. 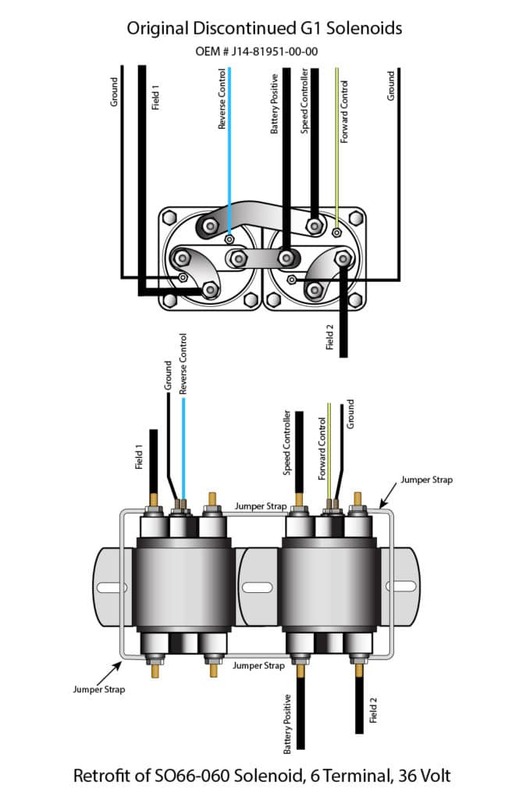 These solenoids are no longer available and are replaced with a model with terminals on both ends. 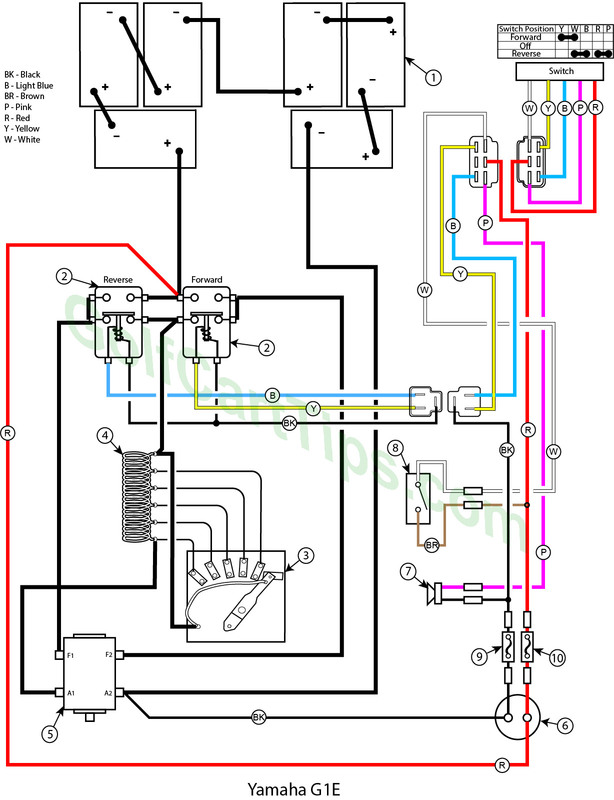 Below is the retrofit for replacing these with a contemporary solenoid. The wiper arm is at full rest and making contact with Contact Terminal #1. First Speed -the wiper arm is making contact with Contact Terminal #1 and pedal is slightly pressed. 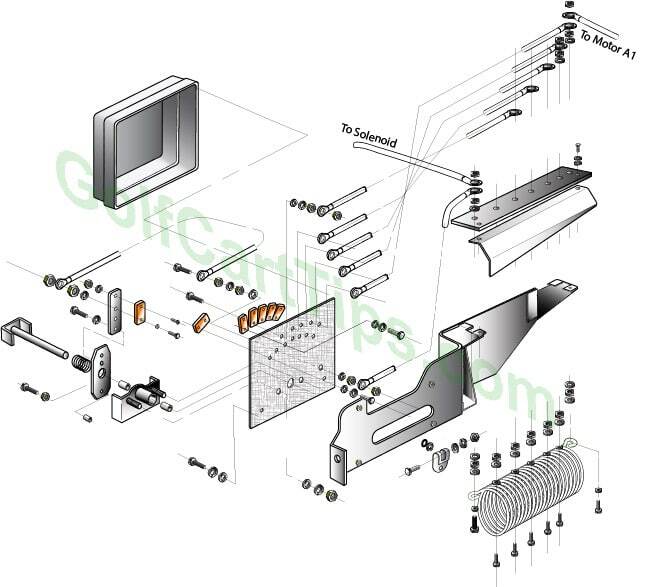 Second Speed – the wiper arm is making contact with Contact Terminal #2. Second Speed Reverse – the wiper arm is making contact with Contact Terminal #2.